Facebook messenger intends to an offline social media tool, not just an online messaging app. Presently, it has added a new Live Location option which lets you share your location for an hour only with the private chats or group conversations in real time on the map. The receivers can do an approximated location of how long will it take to reach you. According to most of the reviews, the Live Location is an amazing and very helpful feature to remain coordinated with your fellows and telling other people that how distant you are or how long will it take to reach you. 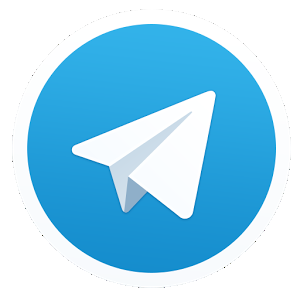 It is ready to work for Android and iOS Messenger apps currently. Messenger has now become an extensive location app such as Foursquare. Live Location is a second big addition in Facebook Messenger after the first one which did not get much success due to the privacy issues and got scrapped in 2015. Most of the users started sharing their exact positions in each text message, which brought up many adverse results and a lot of privacy issues. This exact location feature is still there, but in present tool, you can’t leave it on the default settings. According to the head of David Marcus, most of the users plans using Messenger which involve searching for each other or letting your friends and family know that how far you are from them on your way. Sharing the location also helps in making you feel safe even if you are traveling. There is a timer on the corner of the map which counts down as your location expires and you can stop it too anytime. Obviously, the battery life of your phone can create an issue as GPS features drain a lot of energy from the device and in very less time, but Facebook is quite confident that Live Location feature will use the optimized amount of energy of your phone’s battery. Marcus has stated that the company has put huge effort and time in lowering the battery consumption while using this feature on your phone. ‹ Does Hike Messenger worth $1.4 billion?